Trust me take a break from the buy/sell calls and guru systems and study MM. I understand how you feel. I was exactly in the same situation 12 months ago - although it had taken me 3.5 years to get there. ...but in the beginnings of aviation, a lot of people actually died in trying to build and fly their own aircrafts. Look where we are now - thousands of jetliners fly every day, still no-one alone would be able to build and fly one - even a seasoned engineer from that very field. 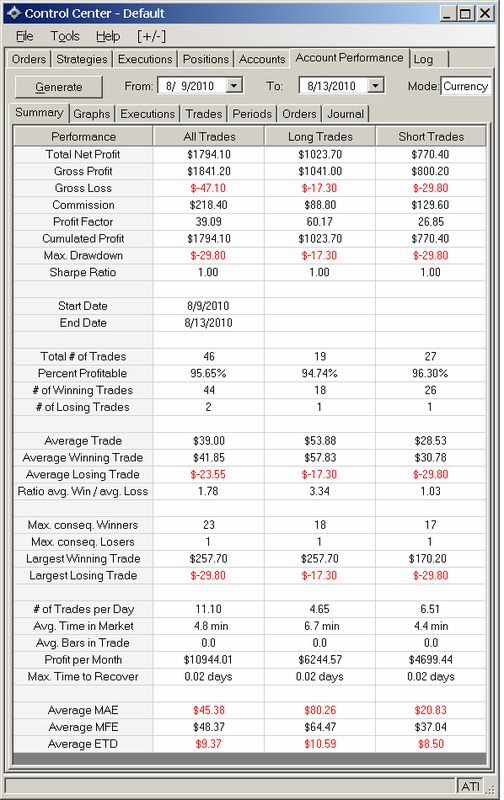 I started my own trading "career" exactly like I would have if I was still age 7 ... then I added some engineering sense to it, and started on the path of automation / backtesting ... after 3 years, my best trading system was generating - in backtesting - a mere 1-tick average outcome per trade - and I knew it was over-optimized, and it would not reach that performance level live. That was the time I realized I needed some help. Some serious help. I tried a couple of education services / mentors, and settle with one I thought would really give me the markets & trading knowledge I had to admit I was totally lacking - despite all the books I had read so far. (I won't mention its name in this post, but if you are interested you'll find more info on me in my trading journal on this website). It was only after a couple of months of intense study - at that point, I had covered only ~20% of the materials) that I truly realized how little I knew up to that point. That was about a year ago. In this last year, I have learned a ton on the markets and trading, developed 3 more automated trading systems (last one went live today ! ), and despite some serious psychological issues that still impact severely my manual trading, I have no doubt at this point that I am finally going to make it. I sincerely believe you got the wrong conclusion from your experiment. Professional traders have been at it for over a century, using computers for now at least 50 years, and their tools and techniques have degrees of sophistication you cannot even remotely imagine at this point. I suppose you would reach the same conclusion if you attempted by yourself to go to the moon - it is not doable. Yet, it's been done. 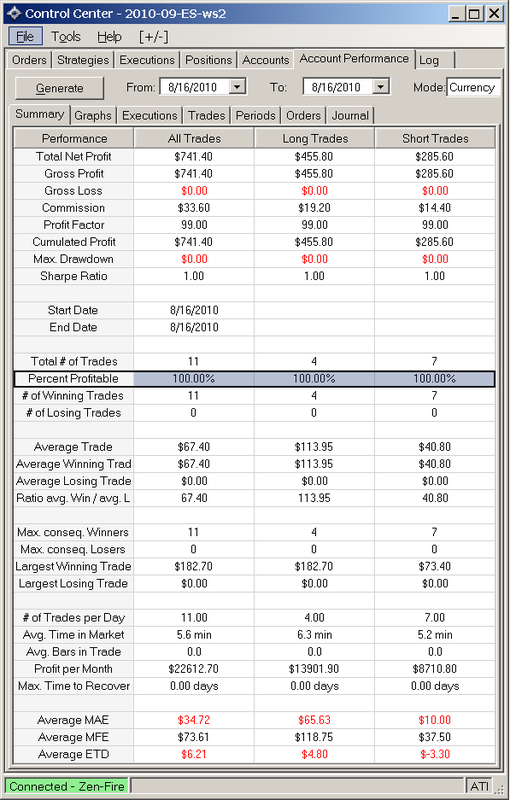 I have come to the conclusion that one cannot generate any profits by trading. Since most people don't make money trading it is more gambling then a business. Since most people love to gamble they will continue trading even if they are losing money. The professional traders need these people to keep trading since that is their source of income so of course they will encourage you to continue trading. They will sell you another system so you will keep trading. Trading should be systematic based on our rick tolerance, account size and most importantly pyschology. Recently I was in the store and a man told the lady; " I will trade you this $5.00 for the cookies"; the lady agreed and the "business" of trading was complete. Later a woman told the lady " I will trade you this $2.00 for the cookies" but the lady said no; and the "business" of trading was not complete. This just goes to prove what I've been saying all along "WOMEN CAN"T TRADE"
You will notice in the first example it took a Man in the mix to ensure that business would be conducted, but in the second example when there were only women involved it resulted in mindless prattle and a failed business transaction! Now don't everyone go voting me down IT WAS A JOKE!